Download the handout for Challenge 02. Thoughts on the challenge, plus a new observation about the number 1089, from Wynne. Several of the videos use clever reasoning to narrow their search. 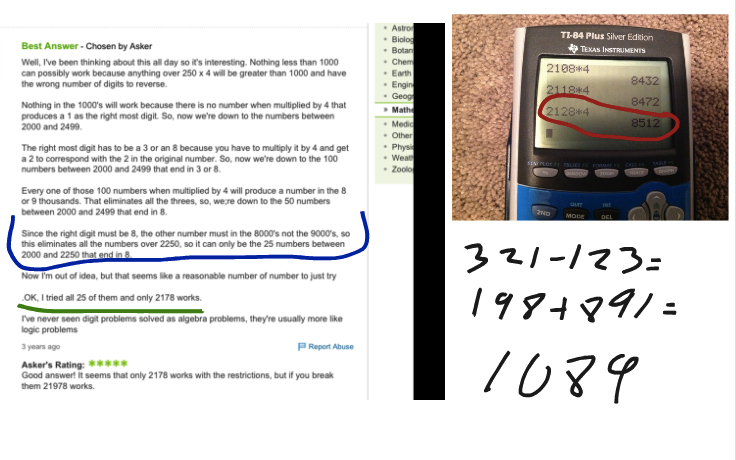 Explain why the solution to the challenge has to be between 2000 and 2499. 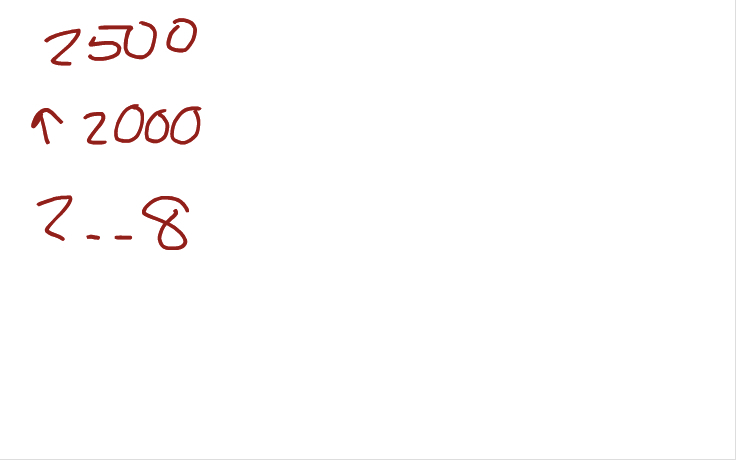 Ashlyn goes further and narrows the search to numbers between 2000 and 2250. Explain her reasoning in your own words. Most of the videos find only one solution to the challenge. Could there be other solutions that we just haven't found yet? Explain why or why not. 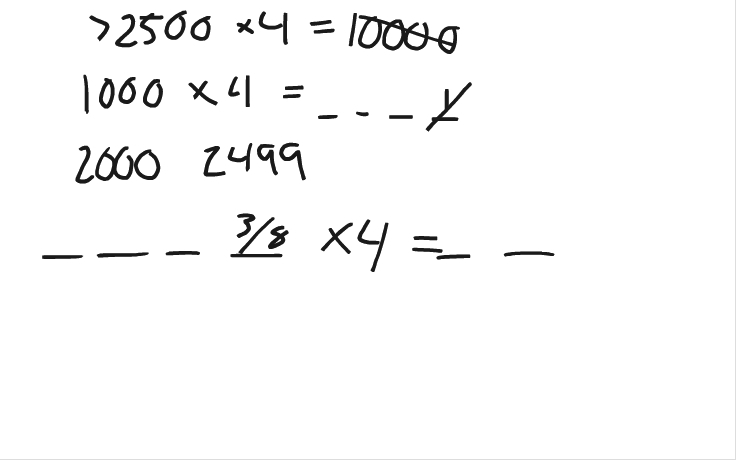 Explain why no number can be flipped when multiplied by 5.